The Bobcats record in the NBA may not reflect their record in the community. When the Hornets were in Charlotte, North Carolina they were always one of the top ranked teams in attendance in the league. When the economy went bad in 2008 former owner Robert Johnson began to lay off his community programs that served the entire city of Charlotte. 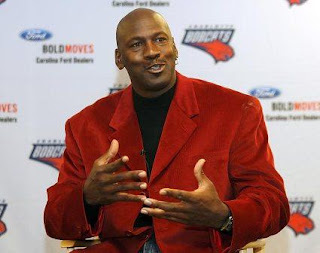 Michael Jordan may go down as the best player ever to play the game, now he may go down as a great owner who is rebuilding community outreach to the city of Charlotte. Michael Jordan does want to rebuild the Bobcats into a team that has a winning tradition. He also wants to have a supportive fan base, but it begins first for him by reaching the people. He wants the Bobcats to be a fabric of the City like the Panthers or Bank of America. The first thing he did to make an impact in the community was starting a program called Cats Care. The Bobcats aim is to feed the homeless and help poor families. Michael Jordan and all the players will be involved in this outreach. As well, the Bobcats have been donating money and needs for non-profit companies like Second Harvest. The Bobcats spent $125,000 on a truck that will feed the homeless. The Bobcats are one of the first teams that get it; they want to serve the community, impact families off the court. It is not always about making money or putting fans in the seats, but it’s about impacting a community, enabling the Bobcats to become a fabric in Charlotte. It starts with the best player ever to play the game. He wants to become a great owner, starting it off the court, impacting the team on the court. The Bobcats may end up with the first pick in the 2012 NBA Draft, but before that ever happens they may be the first pick for families in need in Charlotte.